The Sunflower Army Ammunition Plant had been an unknown mystery to me untill recently. I had seen the water towers from K-10 on my way to Lawrence, but had never been curious enough to see what they were. Curiosity and the need to kill a couple of hours while in DeSoto led me to drive towards the water towers to investigate. 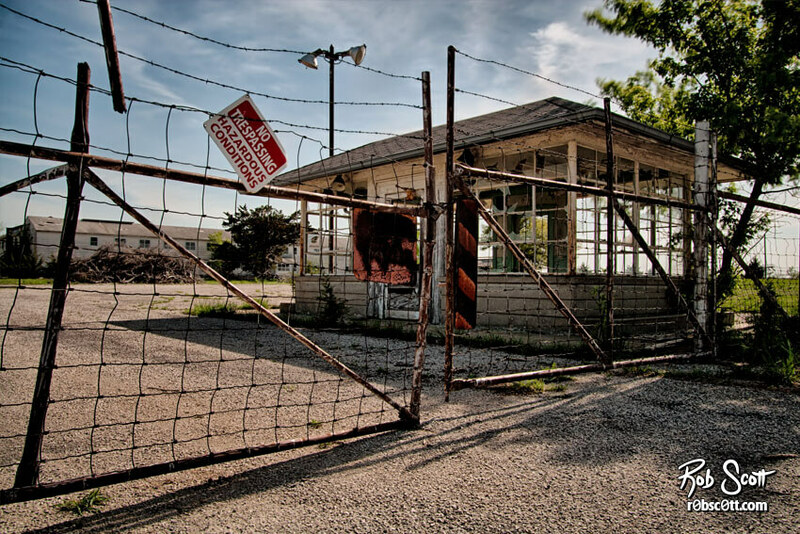 The whole property is fenced off with no trespassing signs which draw attention to the hazardous conditions. This is the guard house that was once an entrance to either the facility or housing which you can see in the background.